Why is it important to develop a child’s creative thinking skills? Because it’s probably the most important skill they will ever learn! Developing creative thinking is about developing self esteem and self confidence. It is about developing a love of learning. Of having the means to deal with the confusion, risks and failures that are part of everyday life. The confidence to lead and to be different from the crowd. I believe that all children are creative by nature but, unfortunately, many lose their creativity before reaching adulthood. In our education and social system where examination success, conformity and peer pressure reign supreme, creativity is often squashed or at least buried. Creative thinking is vital in all areas of life. It is a skill which will give your children the edge over others in their chosen career enabling them to be the person who initiates new procedures rather than one of the majority who follow already established routines. It opens the door to new opportunities and new inventions. So how do we recognise a creative thinker? A creative thinker is able to think 'out of the box'. They are curious and questioning and not afraid of making crazy suggestions knowing that there may be many possible answers. They make mistakes and learn from these mistakes being happy to try and try again. Creative thinkers don’t feel guilty about daydreaming knowing that often this is when the best ideas are born and when they realise these new ideas they put every ounce of energy into making them a sucess. They are optimistic, have boundless energy and, despite accomplishing a great deal, still have free time to enjoy their family and hobbies. Last, but not least. They enjoy life, their work and are never bored! The stories and programmes from Jumble House use narrative which includes open ended questions which require more than a ‘yes’ or ‘no’ answer. “What do you think we should use to make …?” “what would happen if …?” “What could we change…..?” “What choices do you have….. ?” They encourage children to think for themselves. To see that often there are many possible answers not just one. To think 'out of the box'. The programme encourages children to make their own choices. To make decisions and try them out. If their choices fail to achieve the desired result they are encouraged to try again. From this they learn to view making mistakes as a new beginning and not as a failure or the end of a project. There are opportunities for children to make their own ‘Jumbles’ and to weave stories around them. They are encouraged to daydream. To make up stories. To tell stories. To present their stories in many different ways , as story boards, picture stories, puppet shows or in video format. 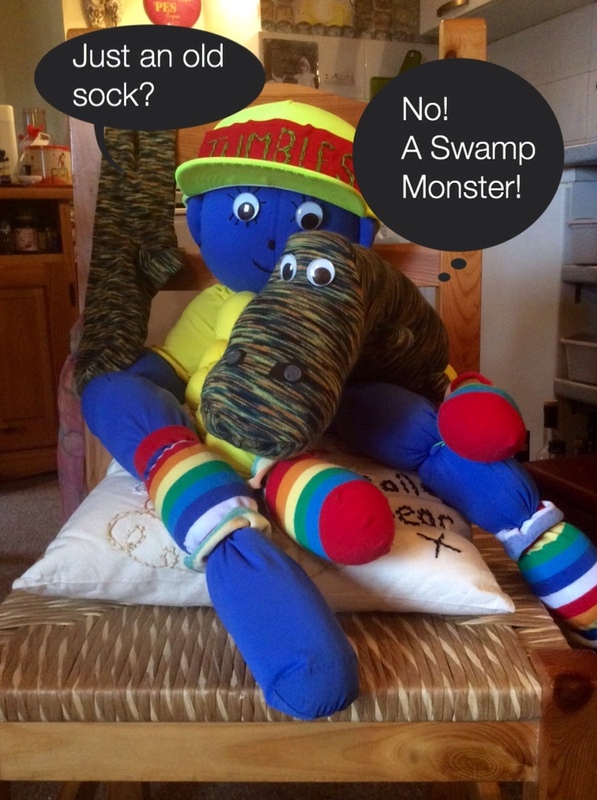 All the movies, pictures and stories featured on 'Jumble Fun' are produced using only an iPad and basic, usually free apps so children are able to obtain a similar product easily at home. 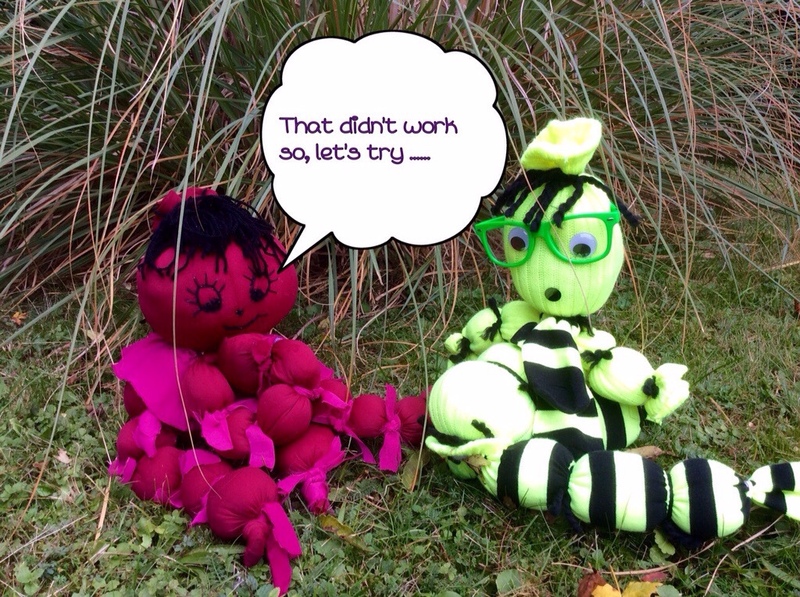 The ‘Jumble’ characters enjoy inventing and making things from well, …… jumble! In other words, from ordinary, everyday household items and objects they can collect in their local environment. Using the characters as inspiration and role models, children will become collectors and inventors, viewing ordinary objects as blank canvasses on which to stamp their own individuality. Hopefully they will also become more conscious of the environment and conservation. The Sunday Challenges present children with a range of challenges. 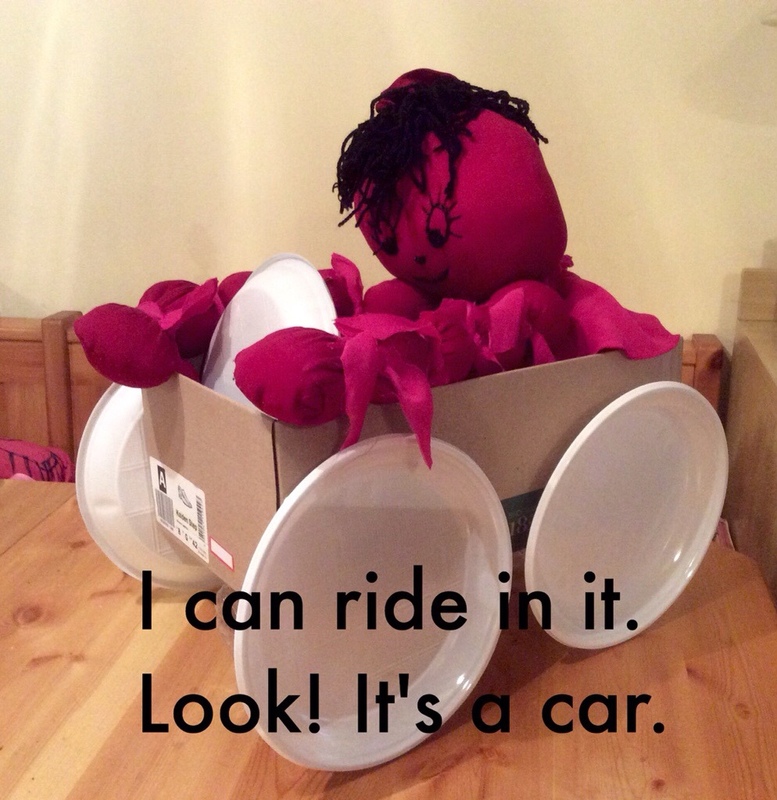 They may be art and craft challenges like 'what can you make from ….. ?' or creative thinking challenges, ' Why was the fridge empty?' or “How many uses can you think of for ……” or perhaps a word association game to play. Whatever the subject these activities encourage children to think creatively. Fun is important ! Learning should be fun. The JUMBLES are fun and they encourage your child to have fun being creative and being active in mind and body. To be inquisitive. To ask questions. To be independent and resourceful. To enjoy learning.